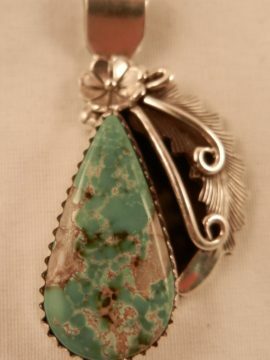 Created in his signature style and featuring his recognizable petroglyph patterns, this incredible pendant by Navajo silversmith Alex Sanchez also showcases a large turquoise stone. 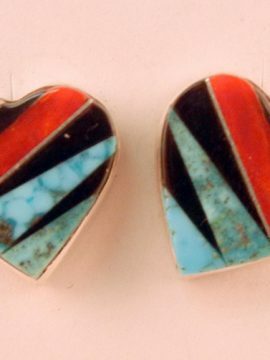 The stone, set just below the bail of the piece, is blue in color, contains large portions of brown matrix, and is set in a simple sterling silver bezel. 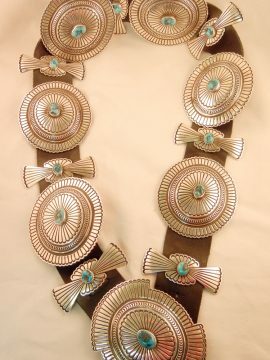 The remainder of the pendant comprises an oxidized, textured sterling silver panel appliqued with two whirlwind and two triangle patterns, as well as several appliqued, flattened dots. 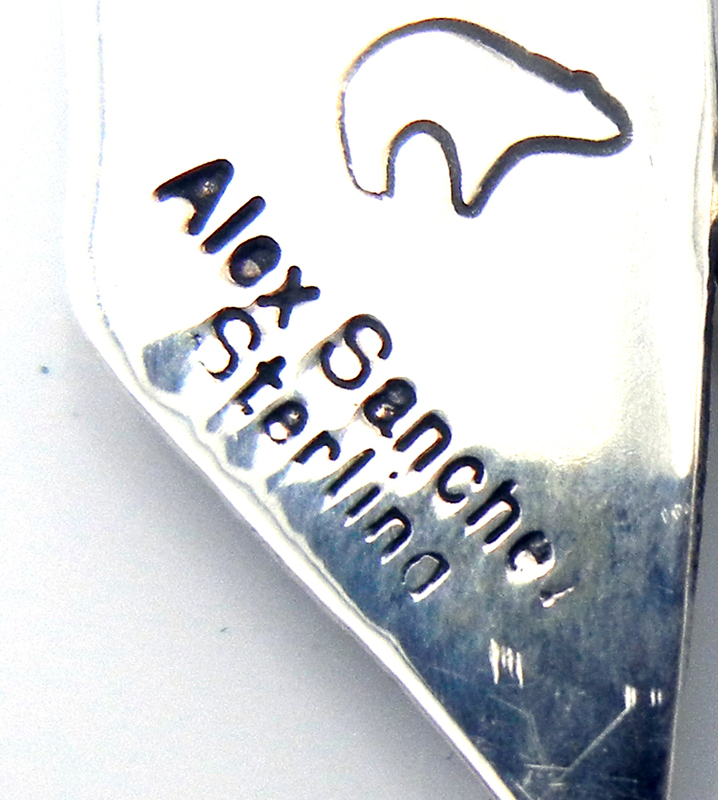 The piece is finished with a single sterling silver band shaped into a wave patter soldered to one side. 4 1/2″ long x 1 5/8″ wide. 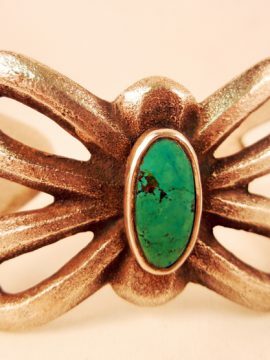 Bail is large enough to accommodate small beads or multiple strands.